Here are some great words of advice about how to conduct yourself as a reporter at a crime or emergency scene from Joel DeSpain. Before he became the Public Information Officer (PIO) for the Madison Police Department, DeSpain was a veteran multi-award-winning TV news reporter. 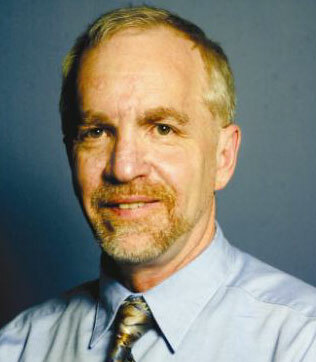 He is a frequent guest lecturer in Journalism classes at UW-Madison. “Generally, I advise reporters to stay behind official police yellow tape and to seek out the PIO or other person assigned to deal with media. When I respond to a scene, I lay out what reporters can expect to glean, and work with them and the scene commander to find common ground in terms of what images can be captured and from what locations. I also emphasize the importance of being sensitive to victims and their families, particularly if notifications regarding injury or death have yet to be made. If it is a scene where investigative work will be ongoing, I try to establish times and places where updates will be made, so reporters are not left waiting and wondering about who will speak and when. During initial interviews, I try to provide a snapshot of what has transpired and answer questions with information that has been vetted through the command post. If there are questions regarding information that has yet to be vetted, I let reporters know that will take those to the scene commander, and will get back with them with a response. Most know that not all information will be known or available in breaking news situations where events are rapidly unfolding and evolving, or reporters typically understand detectives may need to withhold some details for investigative reasons. Being a reporter gives you no special rights of access to any crime or emergency scene. If you are a reporter in a community where the police or fire department does not have a Public Information Officer, follow the directions of any law enforcement official at a crime or emergency scene, identify yourself to them, and be cooperative rather than combative.